WordPress, that omnipresent, highly customizable blogging platform, comes in four distinct flavors. At the top, the high end, with thousands of plugins available to change literally every possible feature and function of the software suite, is the self-hosted WordPress.org. You need your own hosting and domain name, but with it, you have an incredibly powerful platform. One step below that is the VIP WordPress.com. WordPress.com is their hosted solution. You don’t need a domain name, though with VIP you can use one if you desire. You also don’t need your own web hosting. In exchange, you’re limited in the scope and number of plugins you can include. You have to choose from a list of approved plugins, and WordPress themselves make sure that your setup is kept up to date. Of course, the key here is that WordPress.com VIP is a very filtered system. You have to actually apply for it, and it’s designed for enterprise-level customers. It’s designed for businesses that run five or more blogs or sites simultaneously and can cost $5,000 or more per month. Below that you have the paid tiers of WordPress.com for normal businesses and customers. These aren’t the insane enterprise-level costs associated with their VIP cloud hosting. Instead, they’re more traditional hosted blogs on traditional hosts, though they are even more limited in scope and function. The Business class package is $299 per year, while the normal Premium package is only $99 per year. They vary in what they can do; you can find the feature lists here. At the very bottom is the free, basic WordPress.com, which is extremely limited in both form and function. You only have a handful of possible themes to pick through, and a very limited selection of possible plugins to use. They aren’t even really plugins at that point; just features typically associated with plugins, that are included with the basic installation. You’re limited to the .wordpress.com domain name, limited in space, and can have ads shown on your pages. All in all, it’s the extreme budget option; free and limited. Whether you’re a small personal blogger with a few nickels to your name, or a high tier enterprise running a dozen blogs for a bunch of different small businesses, you have one thing in common; you’re running a blog. Blogs have to do a lot to survive online these days. If you have any aspirations about growing, any ambition about becoming a big name blogger, you need to invest in your blog and site. Now, there’s nothing wrong with using WordPress.com. Many people start off with the hosted plans simply because it’s less complex than dealing with code, plugins, hosting, troubleshooting and setup. Admittedly, all of that can be a hassle when all you want to do is write. One thing that is arguably essential to the proper function of a blog today is the presence of social sharing buttons. People are so used to being able to click one button to share a post on Facebook, Twitter, Google+ and the rest of them, that lacking that functionality makes you stand out in a bad way. You’ll have a harder time growing and gaining exposure. If it’s such an essential feature, you have to ask; does it exist for all versions of WordPress? The answer is yes, though it’s limited for many of them. Here, let’s take a closer look. As I’ve mentioned, the self-hosted WordPress.org installations have access to the entire plugins library, as well as all of the third party hosted plugins you might find on CodeCanyon or WPMU DEV. That’s a lot of extensible functionality! Not to mention the themes, and all the custom hosting options, and all the other benefits you get from spending money for your blog. Obviously, you have a ton of selection when it comes to social sharing options on a WordPress.org installation. There’s the floating share buttons, the Monarch buttons, the Jetpack buttons – note these down for later – and a bunch more. Heck, just take a look at this post from ShoutMeLoud. 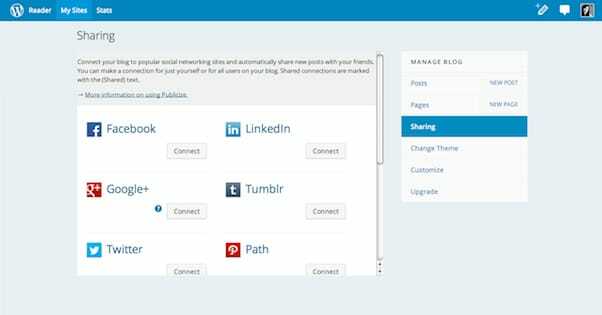 They’ve listed their favorite 9 social sharing plugins, out of who knows how many dozens. I’m only going over WordPress.org as a point of comparison here. The focus of this post is on WordPress.com, so let’s talk about that next. Once again, there are three tiers of WordPress.com – four if you count the two basic paid plans as separate entities – but do they have different functionality? Well, the answer is yes and no. All four different versions have different functionality as a whole, but in terms of social sharing – the focus of this blog post – they’re actually very similar. Let’s start from the top again. 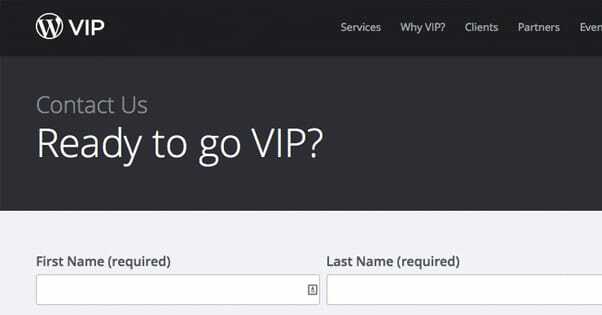 WordPress.com VIP is, again, their most expensive and ridiculous option. It’s designed to give enterprise businesses all the features they could need without costly setup. As such, they have a bunch of different plugins built into the system. You can see the full list here. If you’re familiar at all with WordPress plugins, or if you’ve gone through that list looking for keywords like “social sharing,” you might have noticed something; it doesn’t exist. There’s only one expanded function for social sharing on VIP, and that’s the Co-Authors Plus Social Pack. What this does is allows each individual author on a blog to have their own personal social sharing links in their bio, in addition to the default social sharing buttons available on WordPress.com as a whole. Sorry, I think I just gave away the game a little bit. VIP is a very unique system, and it’s really not for everyone. Really, it’s not for most people. For $5,000 a month, you can hire a handful of personal coders to do whatever you like to a WordPress.org installation. To me it seems like a bit of a waste of money for VIP, but I suppose the host of additional features might make it worth it. Your payments do go to priority support, high-tier anti-spam protection, redundancy on cloud servers to guarantee 100% uptime even in the face of a DDoS attack, and a bunch more. Not that I’m selling it; just reading the features list. All three lower-tier paid and free versions of WordPress.com are a lot more limited than VIP, and none of them offer an expanded version of social sharing buttons. Whether you’re paying $0 per year or $299 per year – and remember, these are per year, compared to the per month of VIP – you’re getting the same level of social sharing functionality. This functionality is, indeed, built in to the basic WordPress system. As with any built-in system, the social sharing via WordPress.com is limited in scope and function. Let’s take a look at how to enable it and what options you have to customize it. 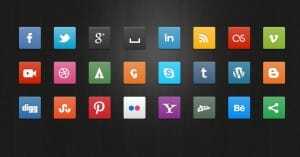 Twitter, Facebook, Google+, Pinterest, and LinkedIn are all very standard, typical inclusions. Tumblr and Reddit are relatively niche, in comparison, but are well-used by many bloggers around the world. Pocket is a mobile app designed for saving content for reading later, creating your own sort of magazine or digest of customized content, a personal feed. It has a desktop app as well, but was designed with mobile in mind. It’s a lot like Buffer in many respects. PressThis is a custom WordPress social feature. It’s essentially a “social sharing button” for WordPress itself. If you have a WordPress blog, you can press the Press This button when you come across it. It will create a new post on your blog with a link to the content you’re viewing, and allow you to add your own commentary and media. Think of it like a short-form blog post creator. I can’t imagine it’s a very highly used quote-unquote “social network” button, but who knows. Maybe some popular WordPress content curators love to see it. It would certainly make their jobs a little easier. Finally, email and print are self-explanatory functions that really shouldn’t be lumped into social sharing and, to me, dilutes the value of the buttons. Including an email or a print button along with a Facebook and a Twitter button tells me that you’re not really aware of what the purpose of those buttons really is. In the WordPress.com configuration section, you can click sample versions of the buttons to add or remove them from your posts on an individual basis. The default buttons are simple links to each site, so they aren’t really social sharing buttons in the traditional sense. If a user clicks the Facebook button, they aren’t asked to give permissions to an app and they aren’t presented with a link preview and asked to add a comment to a post they can make with one click. Instead, they’re just taken to Facebook. It’s really quite ineffective. Thankfully, you can toggle buttons to the “official” mode for some of these networks. Twitter, Facebook, Google+, LinkedIn, Reddit, and Pocket are all eligible for this treatment. Each of these services in question has an official button or two, like the Facebook share button or the Reddit up/downvote button. These are the small, bubble buttons. For example, the Facebook share button is this button right here. To enable the official buttons you need to scroll down to the Button Style menu and choose Official Buttons. It’s an all or nothing setting, so it will apply to all of your social sharing buttons or none of them. Again, though, it doesn’t apply to the email, print, Press This or Tumblr buttons. One additional quirk; the official Pinterest “button” that is included with this is not a bottom bar button like the others. Instead, it is their standard plugin that adds a “pin this” button to every image in your post when the user hovers over it. You can tweak the buttons in a few ways, but only in a very limited fashion. For one thing, the buttons appear at the bottom of your post. They can’t be added to a sidebar, they can’t be made floating, and they can’t be positioned at the top. The only repositioning you can do is reordering the order in which the buttons appear. To do this, you need to click the Reorder buttons button and then just drag and drop them in the order you prefer. You can also hide the buttons under a collapsed pane, so a user will have to click a “More” button to see them. 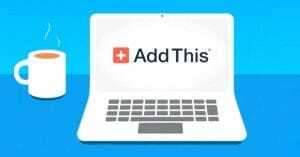 This is very useful for featuring the best buttons prominently – Facebook, Twitter, Google+ – while hiding the less valuable buttons, like Press This, Pocket, or email and print. As far as button style goes, you can have it include icons, test, both, or the official buttons. You can show the WordPress-specific reblog and like buttons, which are both attempts by WordPress to turn their network more into Tumblr and Facebook, respectively. I don’t like them, but some people do, so test and see if using them is valuable to you. You can also choose to have sharing buttons displayed in locations other than on posts and pages. Specifically, you can add them to the front page, archive pages, and search result pages on your blog, and to the stand-alone media pages. For fun, you can also tweak the text of the “share this” headline above the buttons to be whatever text you want. I appreciate that this is an option, though the default is generally fine. Once your buttons are configured on a site-wide basis, you can then customize them in a limited fashion on individual posts. In the post advanced settings, you can check or uncheck the “show sharing buttons” option. There’s no way to configure them any more specifically per post, unfortunately. One nice thing about using the social sharing options in WordPress.com is that there is built-in reporting in the dashboard when you have them enabled. You will be able to see an accumulated count of social shares for your blog as a whole, and for individual posts. You will be able to see a reading of how many shares you have gotten on each social network, so you can see which network likes you the most. You can also see which posts perform the best, so you can study them and see what they got right. All is not paradise in WordPress.com, in terms of social sharing. It’s a very limited system. You cannot customize the social sharing buttons beyond the basic options given to you. Even when using the official button style, you cannot pick between the several styles offered to you by those social networks. You cannot customize the style of the social sharing buttons in a broader sense. Those larger Windows 8-style box buttons, those dynamic buttons that change on a hover, all those advanced button styles you see on other blogs? Not available to you, even if you paid for the advanced versions of WordPress.com. Not even VIP seems to have that functionality. You cannot reposition the social sharing buttons to be more prominent, like above a post or in a floating sidebar tray. This is perhaps the biggest limitation of all. Some social networks are absent despite their prominence. There’s no option for Buffer or StumbleUpon, Digg or Delicious. You also don’t get foreign networks, like Weibo or VK. This can be very detrimental to a global blog. If you upgrade from the free version to a paid version with the intent to use your own custom domain, this will wipe your social share counts. Your share buttons will all read 0, because it bases these counts on URL, not on blog. Additionally, you cannot turn off the share count while still using the official button styles. 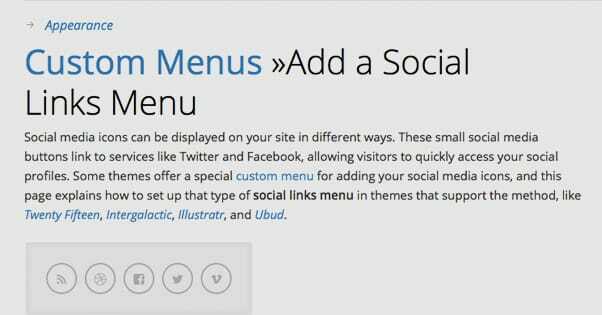 All in all, WordPress.com is a relatively limited system when it comes to social sharing buttons, and it’s the same regardless of whether you’re using the free version or the insane $5,000 monthly version. In general, if social sharing is a deal-breaker for you, go for WordPress.org.